Adore Beauty is an Official Stockist of Hydropeptide. HydroPeptide has been a leader in anti-ageing peptide molecules for over a decade. Harnessing the power of messenger molecules that work on a cellular level to maintain the skin, Hydropeptide uses over 60 peptides, antioxidant-rich botanical stem cells, growth factors and hyaluronic acid for maximum benefit. 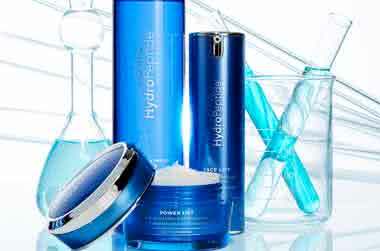 HydroPeptide is a prestigeous medical spa brand, found in prestigious spas and physicians offices. HydroPeptide aims to give flawless results, plumping and smoothing the skin. Peptides are like little messengers telling your skin cells to behave in a certain way. Some peptides will help with microcirculation in the skin but peptides are very commonly used in skincare to boost the skin&apos;s collagen production, creating more elasticity and helping to reduce the appearance of lines. Peptides are often combined with copper and this combination is particularly effective in triggering collagen production. I was in need of a good skincare brand as i find my old one was giving me the results I wanted. I brought this after reading the great reviews here. It does give an immediate firmness and lift of my skin. Will definitely buy again. I used this with the Hydropeptide toner and cleanser. Great product! This product is brightening, but it does nothing for the fine lines and craping around my eyes. I&apos;m using it up, but only of a morning just because I paid a lot of money for it. I prefer Skinceuticals A.G.E eye complex at night and will go back to that morning and night when this is used up. This is expensive, but honestly it will last a long time. A little really does go a long way. The applicator is perfect, the cream is nourishing without being heavy and I wake in the mornings with dark circles diminished and looking refreshed. For my aging skin, the texture could be a little richer, but overall this eye cream is great.